There is a critical need for trained, in-house personnel to support the ever growing number of courtroom audio/video systems. Budgets make it almost impossible for many courts to hire outside experts. 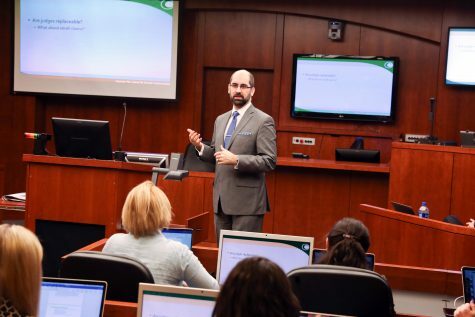 In the absence of dedicated expertise, courts have been compelled to turn maintenance, and sometimes installation, of audio systems, digital recording equipment, evidence presentation hardware, and video conferencing equipment over to courthouse staff. Courts across the country have, therefore, asked for training for existing personnel, especially Information Technology personnel, in audio and video technology. In response, we offer three-day training courses to provide participants with a better understanding of court specific audio/video systems, requirements for maintaining them, and a foundation for improved communication with vendors and installers. The newest course specifically deals with the changes to digital methods in audio/video, while the Advanced Audio/Video course delves deeper and provides the technician with hands-on training for designing, installing, and maintaining the audio/video systems. For course outlines and scheduled dates, please contact clct@wm.edu or call 757-221-2494. This content has been updated on April 25, 2018 at 4:38 pm.